Rustic chic! With a simple design and wrap around flair, this stylish bracelet adds a touch of country charm to any outfit. 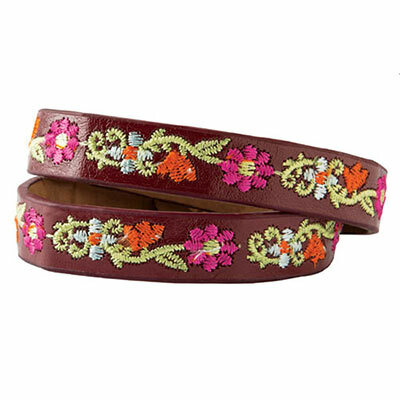 Brown leather strap is embroidered with colorful floral motif and features an adjustable snap clasp closure. 15"l, 3/4"w.